After reports emerged of Daesung‘s involvement in a motorcyclist’s death, it was finally confirmed that it was Daesung’s collision that ultimately killed him. This situation is becoming sad. Both parties have experienced an unimaginable horde of emotions that no one can judge. But, surprise, surprise, the people of the internet have done exactly that, especially with the release of news detailing the interactions between YG Entertainment and the family of the released. 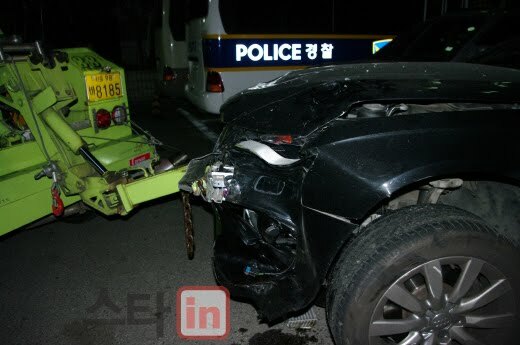 The motorcyclist, Hyun, had been involved in an accident prior to the collision involving Daesung. Hyun’s blood alcohol content was 0.186 which impairs reflexes, reaction time, and gross motor control. A taxi driver had stopped his car to aid Hyun. Daesung was speeding at 70-80 km/h in 60 km/h zone. Daesung hit the taxi which then hit Hyun. YG has contacted the family of the deceased twice. They offered to provide the family with funeral expenses and death compensation. YG’s is offering poor compensation. YG doesn’t have anything to lose with Daesung. YG has acted in a rude, disrespectful manner. There’s no point in trying to argue the validity or the invalidity of any of these allegations because unless you were there, you’ll never really know. Regardless, some fan reactions have been absolutely ridiculous and deplorable. I’ve read everything from ‘What do you expect when you kill someone?’ to ‘that drunk deserved to die.’ Both sides have experienced a tragedy that most people can’t even begin to understand and all some people can do is make these disgusting comments? Death isn’t about who is right and who is wrong and in this situation, there are no winners. But there could and should be respect.